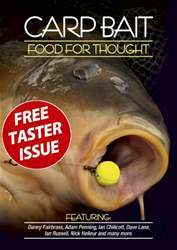 Get your FREE Sample issue of Total Carp today! 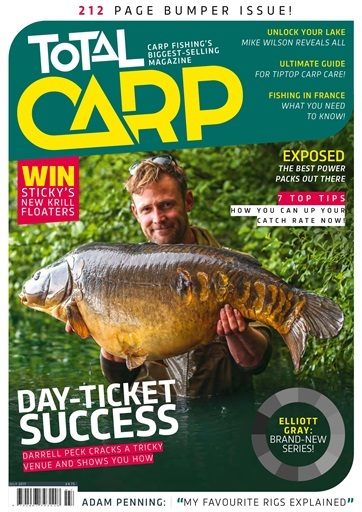 (1 Customer Reviews) | Write Review 12 issues per year The UK's biggest-selling carp magazine. 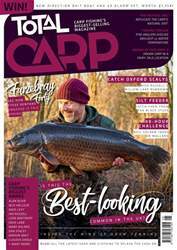 If you are new to carp fishing or simply want to improve and catch more carp, there is only one magazine for you – Total Carp. The UK leads the world in carp fishing methods and bait creation, but a carp is a carp worldwide. This monthly magazine features all the latest tackle, tactics and recipes to ensure that you catch more carp wherever you live. 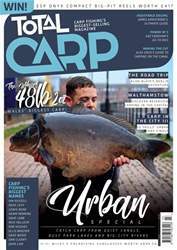 Looking for Total Carp in print? Unfortunately pocketmags.com does not sell print copies of Total Carp, but all is not lost. Our partner at magazine.co.uk sells print subscriptions at the best prices online. The UK's biggest-selling carp magazine. 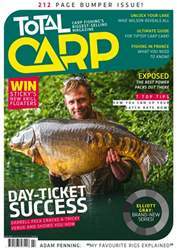 You'll receive 12 issues during a 1 year Total Carp magazine subscription. A cracking read and I just caught up and bought a couple of missed issues. Delighted - will recommend. 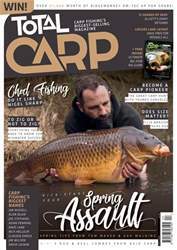 You'll receive 12 issues during a 1 year Total Carp magazine print subscription.